I warned you, fellow puzzlers. You can’t say I didn’t warn you. The robots are coming, and they want our puzzles and games. And Scrabble fans, you’re the next ones in the crosshairs of the machines. 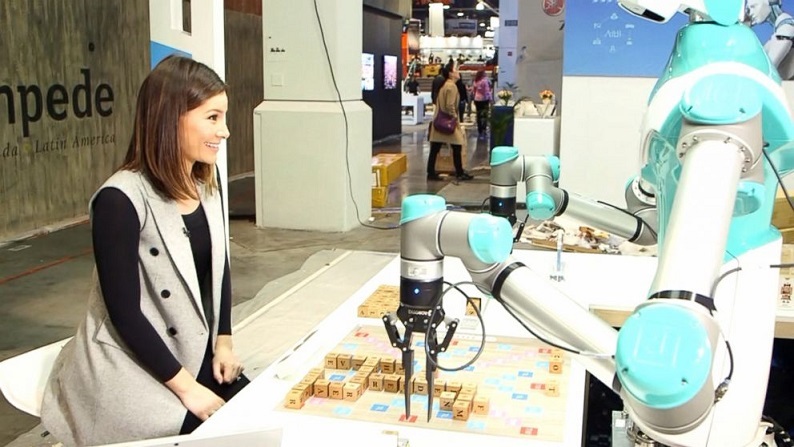 During last week’s Consumer Electronics Show (CES), the Industrial Technology Research Institute out of Taiwan debuted the IVS Robot — aka The Intelligent Vision System for Companion Robots — a machine capable of defeating human competitors at Scrabble. Instead of tiles and a standard Scrabble board, the IVS reads letter cubes (similar to a child’s alphabet blocks) played on a slightly larger gameboard. But time limits for play and standard rules still apply. It’s hard not to be impressed by all the moving parts here. For one, the robot has to learn and understand the rules of the game and the best strategies for winning. It also needs to be able to see and recognize the game pieces and the spots on the board. That means it can read the letters on the cubes and identify the double-letter and triple-word score spots. And, last but not least, it needs the dexterity to place the pieces on the board and not disturb the existing letters — which is especially difficult when you’re laying down two words next to each other to rack up those two-letter combos. 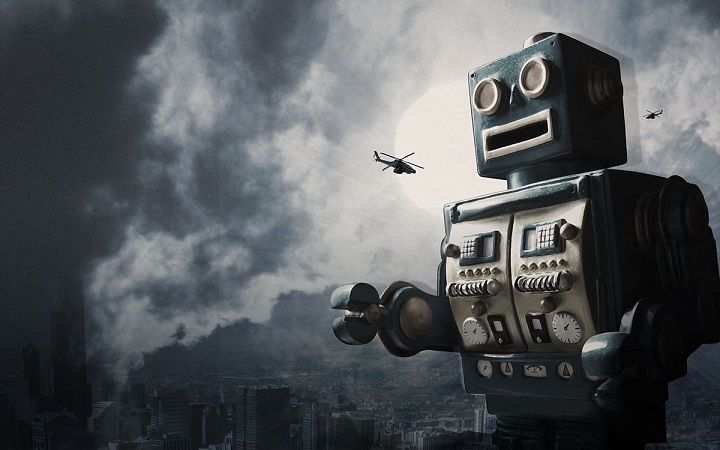 A quick Google search confirms that the robot bested practically every reporter, tech-savvy or otherwise, that crossed its path. Still, you can see the potential here. I’m sure it won’t be long before the IVS Robot is making appearances at Scrabble tournaments, attempting to establish machine dominance over another puzzly activity.